I will be doing a “throwback” to some of my older books during the next couple of weeks. 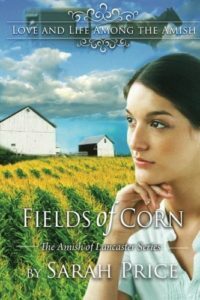 First up is Fields of Corn, my very first Amish fiction book! Back in the late 1980s, I lived on an Amish farm in Lancaster County, PA. The family had an apartment over a mule shed that they rented out to people. It was one of the most special times in my life. I became a part of their extended family, going to picnics, making applesauce, enjoying dinner, and helping with the chores…all alongside these wonderful, kind people. CLICK HERE to purchase Fields of Corn! ⟵Into the Amish Ebook Sale!